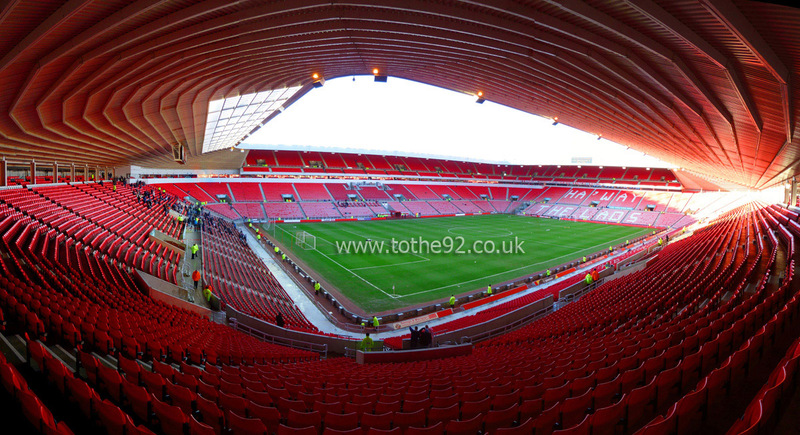 The Stadium of Light is a newish build and as such is typical in its 'bowl' construction. However, it is different from many newly built stadia because of its scale, with a second tier looping round half the stadium contributing to the 49,000 capacity. Away fans are situated behind the goal in the South Stand and have excellent views as you would get from any area in the stadium. On the exterior you'll find many things to see and take photos of including a statue of 1973 FA Cup Final winning manager Bob Stokoe. Approximately 3,000 visiting supporters can be catered for at the SOL and they're situated in the upper tier of the North Stand behind one of the goals. The view of the action is fantastic from all seats and leg room is also very spacious. Facilities and refreshments are good with pies, burgers and hot dogs setting you back around £3.50. Alcohol is also available in the away end at around £3.50 per pint. With the ground being fairly close to the city centre there's the usual mix of pubs, cafes, chain stores and burger vans. Although once you're right next to the stadium itself it'll be burgers only. The White Rooms on Holmeside is often the semi-official away pub. As ever though, check with the local police on the day. In the city though there are plenty of options, whether you want to gorge on Greggs, or have a few beers. For the latter, try Green Terrace, which has a canny few bars - as they say - including Fitzgeralds for those who like a real ale or two. It's about 20 minutes walk from the ground. 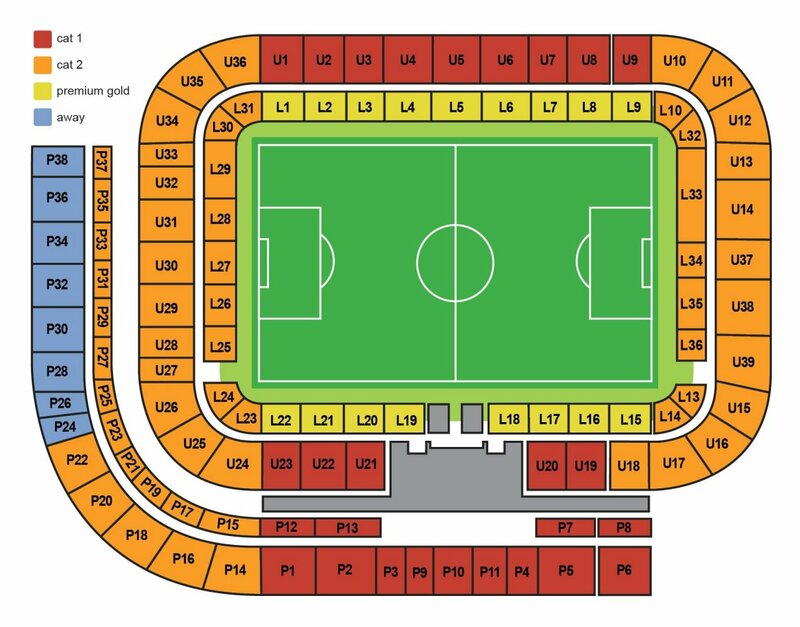 Parking in the immediate vicinity of the stadium is quite difficult although there is a large car park at the stadium that is generally reserved for permit holders. However, the club operate a free park and ride service with buses running every five minutes, from 90 minutes before kick off. You can also park in the town centre and walk back 10-15 minutes to the stadium. Whichever option you choose, allow plenty of time as there's always a lot of traffic on match days. 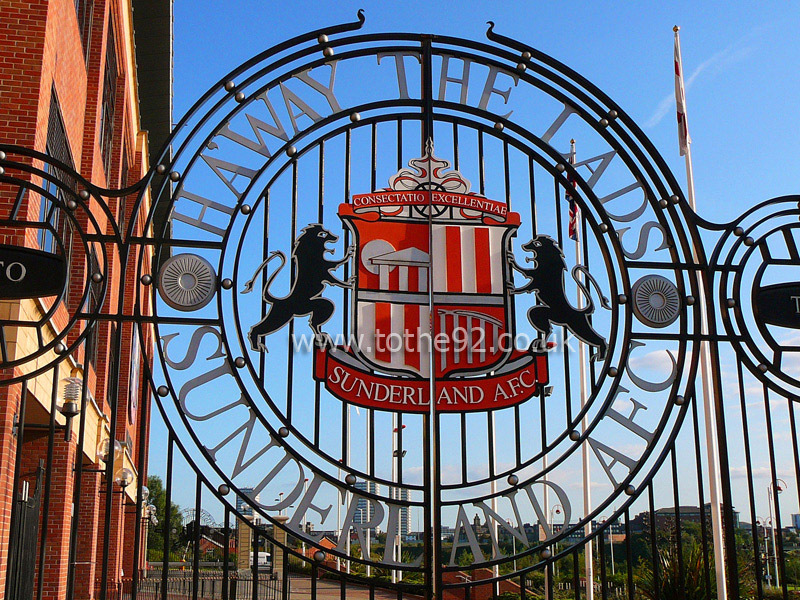 The nearest / closest train station to Sunderland's Stadium Of Light is Sunderland. Trains run from Newcastle's mainline Central Station on the half hour and take around 20 minutes to get to Sunderland's rail station, which is a 10-15 minute walk from the Stadium of Light. Trains also run from Middlesbrough to Sunderland, again on the half hour, and take around an hour to get to Sunderland. Travel: Drove every time and parked at the Metro station. Not bad, but a real pain getting out after. Last time went though, asked for some alternatives and was recommended parking on an industrial estate on Wayferer Road. Much better. Cut all the traffic getting away from town, and just a short walk down the river from the ground. Refreshments: There's a retail park around the corner, but bar that and a couple of burger vans, there is very little near the ground, and most of the pubs nearby tend to be home fans only or absolutely heaving. Impressions: New ground, same old same old. Atmosphere: Hasn't been that good for the majority of my visits. Had some good laughs in 2009 though when both the Sunderland and Everton fans were singing anti-Newcastle songs together! And the music when the teams come out is boss as well, Ride of the Valkyries and Ready to Go, though they shockingly had done away with Ready to Go on my last visit! Enjoy: Not a lot to say to be honest, it's a bit boring really, and not a lot to do while you're there. Have you been to Sunderland's Stadium of Light? To tell us about your experiences and to feature on the site, simply complete the fans review form below!